"My name is Ariel Heise and I live in Van Buren, MO with my husband, Shaun. 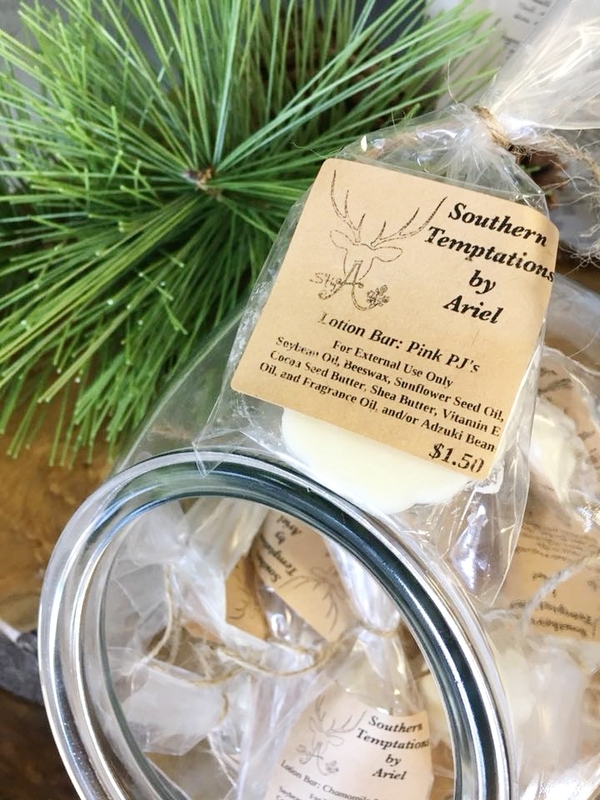 I have owned Southern Temptations by Ariel since September of 2016. Making quality soap, lotion, and candles is my top priority. I love coming up with new fragrances to keep my products enjoyable during every season. As an adult with a degree of Autism, I never thought I would have my own business, but I am happy to say that this business is everything I dreamed of. "